A close cousin to the writings of Conan Doyle, Christie, and Marsh… Mystery fans will look forward to Talus’s future investigations. A+ Great fun, well worth it … extremely well done and very enjoyable. Putting Sherlock Holmes and Watson into the Stone Age worked for me! This book is an unexpected delight, a detective story in a setting like no other, and I recommend it unreservedly. 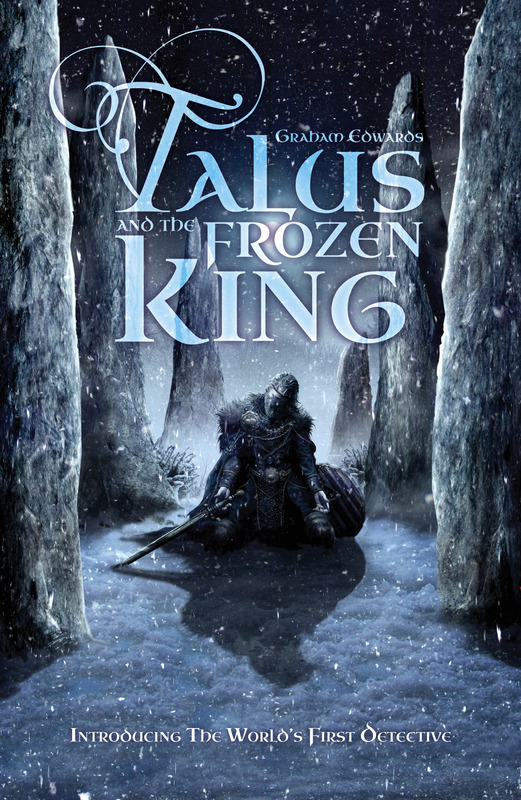 Talus and the Frozen King is the ideal book for mysteries lovers who want a classic murder scenario in a new setting. It’s not a rehash or a reimagining of old ideas, but one that makes use of the genre’s tropes to the best of Graham Edwards’ abilities and that makes it a worthy read. It all makes for a pretty fast, intense mystery as shadows thicken, nothing is as it seems and men start to die all around. Combined with an ending I didn’t expect from a mystery novel that stokes the fires of my inner geek, is it a wonder I only have good things to say about this book? Highly recommended, and definitely on the shortlist for best books I’ve read this year. There aren't a lot of books like this out there, that's for sure. While there's a strong element of fantasy in this one, at it's heart it really is a variety of your good old detective story. The prehistoric ice age setting garners huge points from me, and like I mentioned, so does our protagonist being an eccentric bard. I think both mystery and fantasy readers alike will feel right at home with this one. A very entertaining and fast read. I think what Edwards has tried to do is ambitious, how do you create a Holmesian character in a world where philosophy, science and logic are still in their infancy. How do you create the world’s first detective without it feeling like it’s Holmes and Watson in bear fur. I think the answer lies in exceptional world and character building.